The Grumman Corporation is well-known for its family of carrier based fighters from the early FF biplane fighter to the F-14 Tomcat. In addition to this ferocious pedigree, Grumman was also one of the leading producers of amphibious utility aircraft. The Model G-44 was one such design. Designed shortly before World War II, the G-44 was a six-place, twin engine amphibian that was designed for the civilian market as a smaller class of aircraft to compliment the larger G-21 Goose. When the war came, well over half of the production run entered military service. 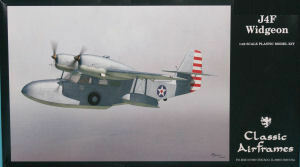 The US Navy and Coast Guard designated the aircraft as J4F, the Army Air Corps designated it as the OA-14, whilst the Royal Navy named the aircraft Gosling. The main difference between the civilian and Navy/Coast Guard versions of the G-44 was the addition of a hatch aft of the wing to load stretchers aboard the aircraft and the addition of a single rack under the starboard wing for a depth charge, bomb, or even a life raft, depending on the mission assignment. The aircraft was powered by a pair of Ranger 200hp inline six-cylinder engines, but many of the Widgeons still flying today have been re-engined with a pair of Lycoming flat six cylinder engines rated at 270 horsepower, each turning a three-bladed constant speed propeller. 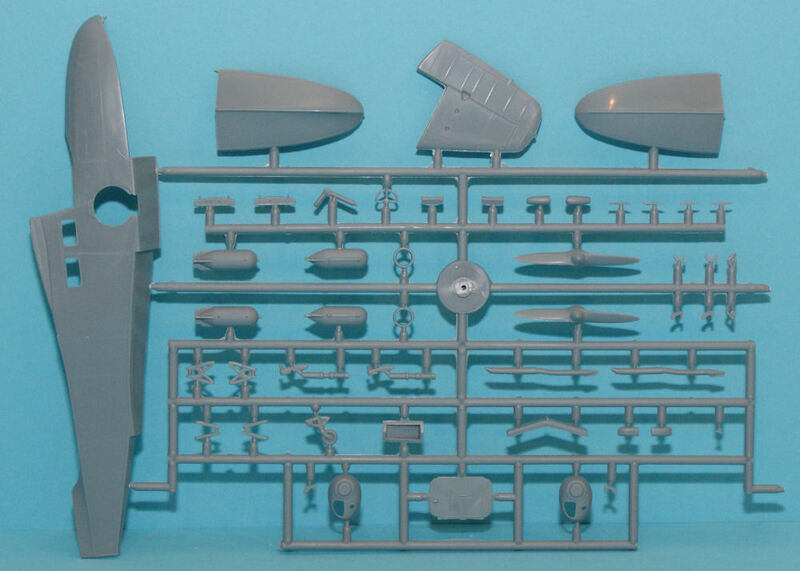 The kit is molded in light gray styrene and presented on three parts trees, plus a single tree of clear parts and a bag of resin details. 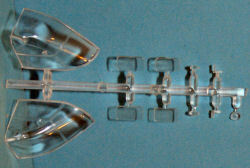 As usual, the detailing is nicely done and assembly looks to be straightforward. Construction begins in the main cabin with the installation of the wheel wells onto the cabin walls. The main cabin floor has two optional seating arrangements, one with six standard seats, the other with five seats and what appears to be a booth seat. 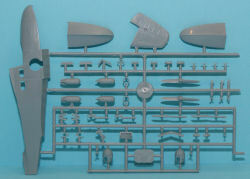 Pilot's control yoke and instrument panel complete the interior. 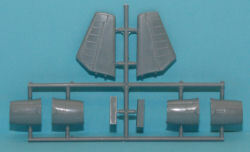 The engine nacelle halves go together with a resin insert representing the front end of a Ranger engine and then capped off with the nacelle front. I don't know if you've looked down a Ranger nacelle, but even in one-scale, you can't see much past that first cylinder, so it makes perfect sense not to waste resources replicating a complete engine. 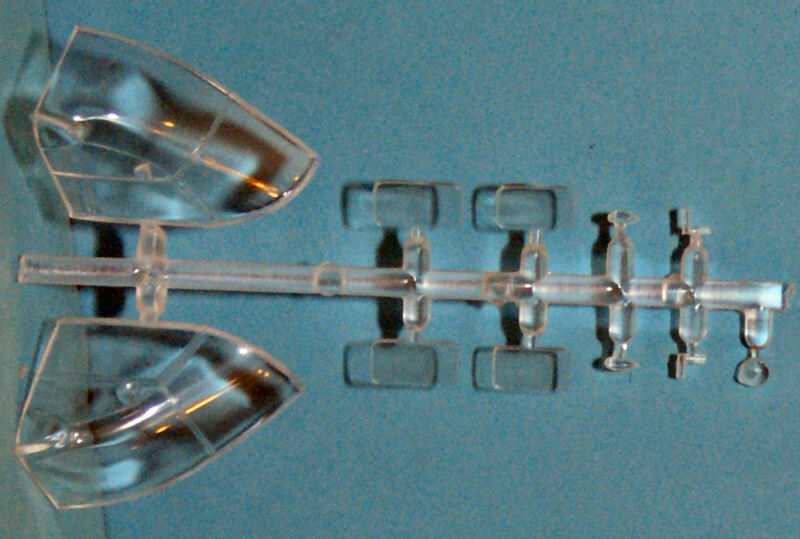 These engine nacelles mount to the wings and receive their fixed-pitch propellers. 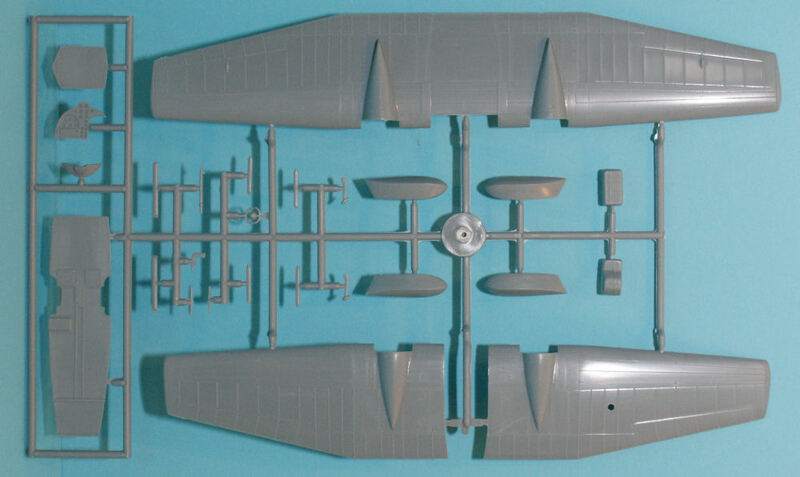 The completed wings go atop the fuselage, but be sure to install the forward boat hull/underside of the nose first. The tail surfaces, floats, bomb rack, and landing gear complete the assembly steps. 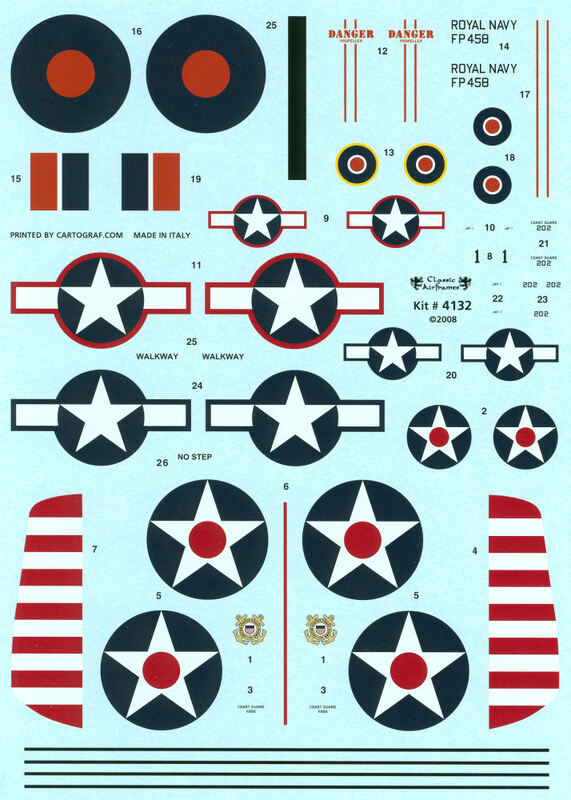 The decals are very nicely done, all in register, all using a single decal for a single marking - none of these markings require you to stack one decal atop another to complete the marking. Nice! 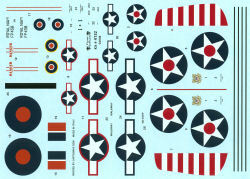 The decals were printed by Cartograf. Classic Airframes has added another missing subject in the amphibian line-up and this one looks like a beauty. Do remember that limited run kits like this one will require some modeling skills and experience as the parts don't always fit together like a Tamiyagawa kit, but the results are worth it. My most sincere thanks to Classic Airframes for the review sample!